When I first started MetaLab, Dan Cederholm was my hero. Bulletproof Web Design was the first book I read when I was learning the ropes, and I regularly reverse engineered his stylesheets on SimpleBits to learn CSS tricks. Anything he did, I did, and I drove my early frontend developers nuts, getting them to implement every little 1-pixel detail I’d learned from Dan. 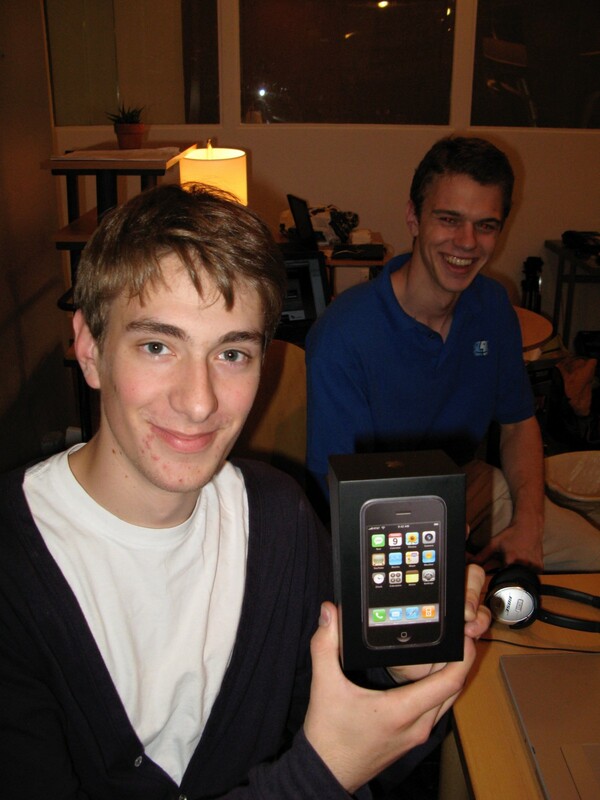 To give you a sense of what Dave was contending with, here’s a photo of me holding the first iPhone. I remember meeting another favourite designer, Dave Shea, at a conference back in 2008. When he happened to mention he knew Dan, my jaw hit the floor. “Wait. WHAT?! Those CSS drop shadows he does! The Cork’d logo?! THE BEST! What’s he like?? ?” I was gushing. “He’s… just… a really nice, talented guy…” said Dave, giving me a worried look before shuffling off to grab a drink from the bar, shoulder checking every once in a while to make sure I hadn’t followed him. For years, I’ve been bugging Dan and Rich, begging them to let me invest in Dribbble. I’ve been like Dennis The Menace, poking them every month or two asking them to let me know if they ever think about partnering with someone or selling the business. This September, my moxie finally paid off. Dan sent me an email saying that he and Rich were thinking about taking on a partner. My business partner Chris and I hopped on the phone with Dan and Rich, and they told us that while they loved running Dribbble, they had been at it for eight years and were ready to team up with someone who could help them take things to the next level. Understands the Dribbble community and won’t mess it up. Has a long-term time horizon and no need to sell the business in the short-term (private equity) or turn it into a unicorn moonshot (venture capital). Wants them to stay involved and continue to own a large chunk of the business and will keep the team together. After spending many hours on the phone and a few days together in Boston, the guys agreed that we fit the bill and we quickly shook hands on a deal to acquire a majority stake in Dribbble. We just finalized everything last week and could not be more pumped about it. We think it’s a great fit. We’re designers, first and foremost, and totally get what Dribbble and its users are about. We have a history of acquiring great design communities and not screwing them up. We’re 100% bootstrapped, with no outside investors pushing us to grow too fast or do anything crappy. We also have tons of experience running companies Dribbble’s size and larger, so we can help Dan and Rich build out the team and grow the community. Dan, Rich, and the rest of the Dribbble team have done a fantastic job of evolving the site over time while carefully listening to feedback from all of you. Aside from selling your personal information to rogue hackers, adding aggressive pop-up ads, and harvesting your emails for marketing companies,* we plan to continue down the same path. Dan and Rich are staying on the team and will continue to own a big chunk of the company, but they’ll have lots of help with the heavy lifting and day-to-day business stuff from our team. Also: because we now have so many great companies under one roof, we, a bit like Google, realized that we should probably brand our family of companies. So, today, we’re also introducing Tiny, our own version of Google’s Alphabet holding company. 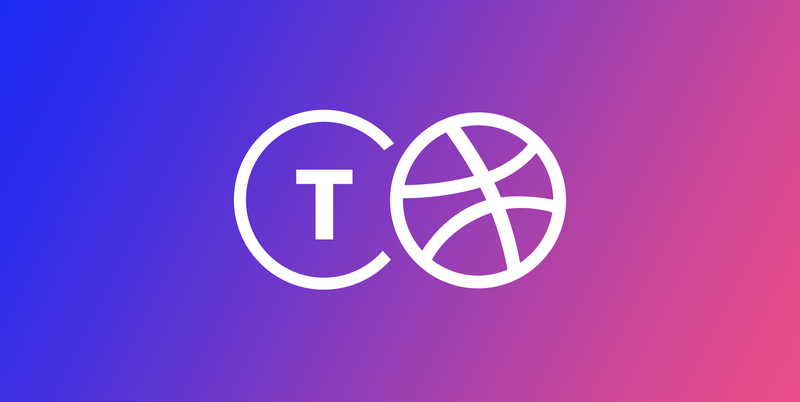 Tiny is the new parent company of MetaLab, Flow, Designer News, Pixel Union, and now Dribbble. We plan to continue to buy more wonderful businesses, focusing on bootstrapped design-y businesses like Dribbble and Designer News. We’re so excited about the future of Dribbble and feel honoured to be passed the torch. If any of you have any feedback, thoughts, or snark bombs for me, I’d love to hear them! Feel free to fire me an email or tweet anytime. PS: Check out Dan and Rich’s official post over on the Dribbble blog. Thanks to Tim Wilkinson, Max, sometimes Maxwell, Holly Rohani, Margaret Gray, Dan Cederholm, Rich Thornett, and Designer News.